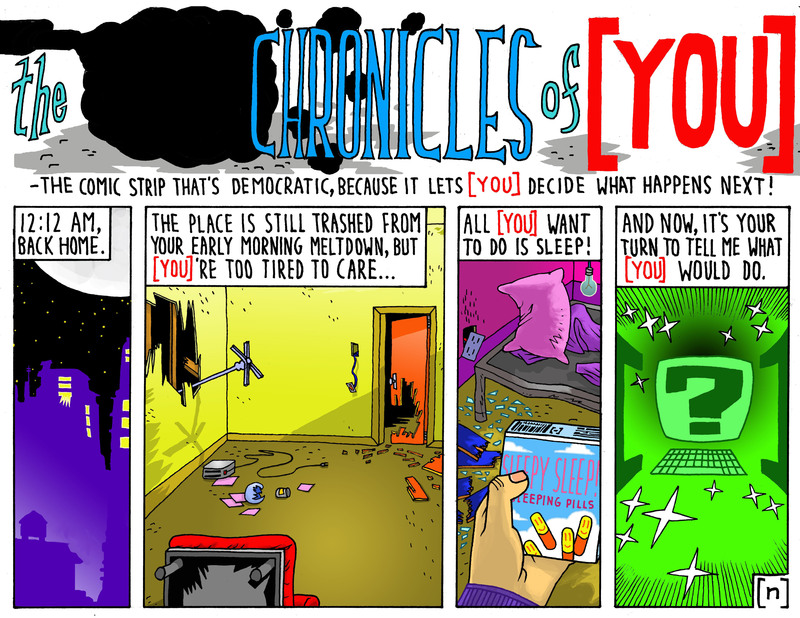 This entry was posted in COMIC STRIP, POLL, TEXTUALS WITH VISUALS and tagged 12:12 AM, 4-PANELS, busted bed, COMICstrip, democraticCOMIC, exhausted, meltdown, new elected panel, open-ended, SLEEP!, sleeping pills, straight2sleep, YOU-CHOOSE!, [ YOU ]. Bookmark the permalink. 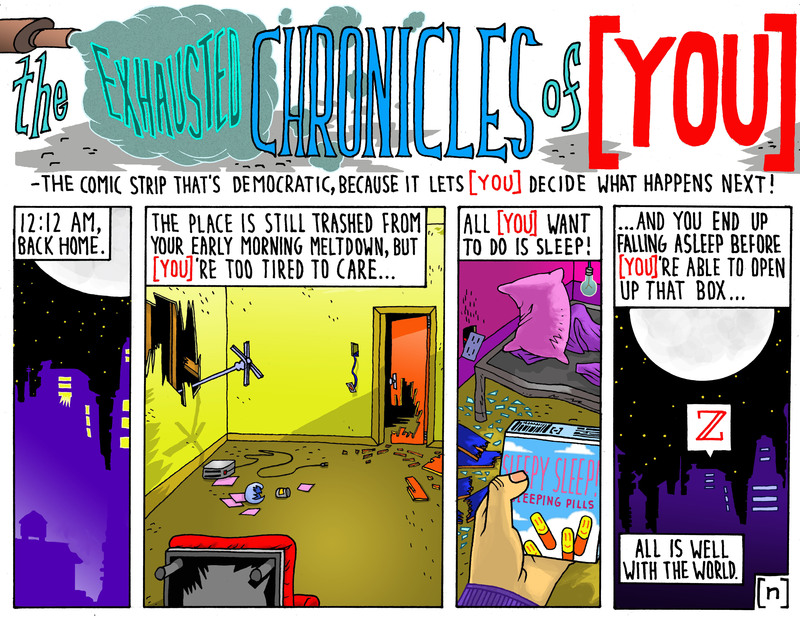 Am I the only one that’s noticing the some of the “themes” in this comic-strip are somehow happening in real-life, in the real-world…?